With an estimated earning of $24 million, Virat Kohli features as the only cricketer in Forbes 2018 list of highest-paid athletes. But is he earning more than MS Dhoni? Forbes has released the list of top 100 highest-paid athletes in the world and Indian captain Virat Kohli features as the 83rd name ahead of the likes of tennis ace Novak Djokovic and footballer Sergio Aguero. The Indian skipper is currently the world's best batsman and has been scoring runs for fun across all formats. Thus, it is no surprise that there are no other cricketers ahead of him on the list. In fact, he is the only cricketer to feature on the list of 100 names released by Forbes. Kohli is beyond reproach the poster boy of world cricket and has built a formidable brand for himself, marketing almost everything there is under the sun – watches, cars, sports shoes, motorbikes, clothes, ride services, tires, snacks, health foods, headphones and even toothbrushes. Endorsing 21 brands including Tissot, Audi, Puma, Uber and Hero, Kohli has been estimated to have earned a whopping $24 million in the last 12 months. 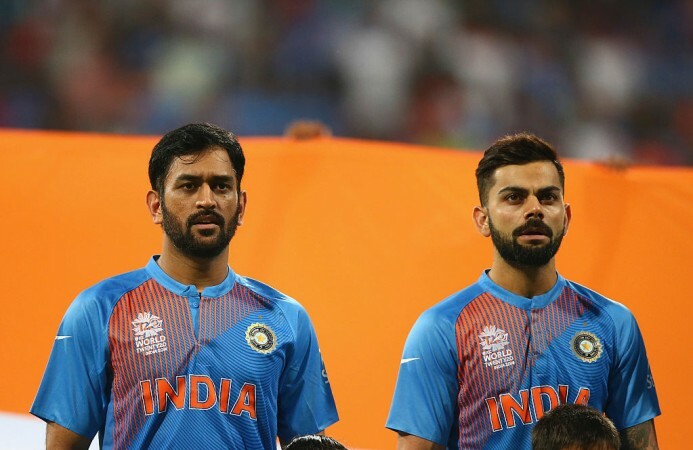 However, Kohli is still behind his captaincy predecessor MS Dhoni, who holds the record for being the highest earning Indian sportsman ever. The former India captain had earned $31 million in 2015. Although Kohli is soon expected to break this off-field record, it is unlikely that he will be able to challenge for top honours in the overall list given cricket's limited reach beyond the Commonwealth countries. Floyd Mayweather and Lionel Messi occupied the top two spots in the Forbes 2018 list with the former's earning estimated at $285 million.